Mix Juice Discount Codes and deals. Below you will find the lowest prices, bargains and deals on Mix Juice products. Mix Juice was created to offer vapers premium concentrates at an affordable price. Expired£3.49 for 50ml Banana & Cherry Milkshake – Mix Juice Flavour of the Week! ExpiredMix Juice Flavour of the Week – Strawberry & Lime – Only £3.49 for a 50ml bottle! Mix Juice 5 x 50ml bottles for £20! Add 5 Nic Shots £1 or 5 Nic Salt Shots for £4! ExpiredMix Juice – The Original Flavour of the Week Deal – Peach Ice 50ml Short Fill – only £3.49! 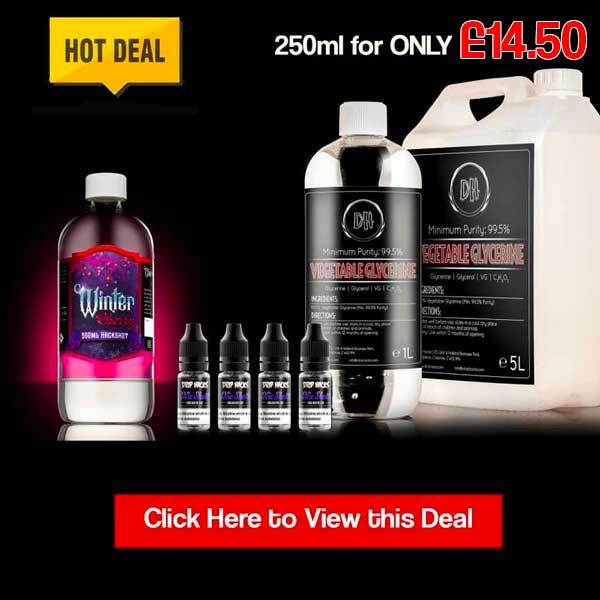 10 Bottle of Mix Juice – 500ml of e-liquid – for just £35! Mix Juice 50ml Bottles – NOW PERMANENTLY £4.99! Mix Juice Discounts & Deals - Save money today. Save money today with the UK's biggest Mix Juice deals website. Join UK Vape Deals and find the best discounts on Mix Juice eLiquids from your favourite vape stores.